The journey aboard The Golden Chariot train ensures you with the experience of exotic wildlife, striking architecture, pristine beach and much more in just 7 nights and 8 days. Pride of the South is a well planned journey on-board the heritage train, which offers you the best of luxury services and impeccable hospitality. The train covers most of Karnataka, opening your horizon to what the Southern culture, landscape and history has to offer. In the morning of the 6th day, you arrive to encounter further more architectural sights in the capital city of the ancient Chalukya Empire. Badami is home to a number of structural temples, forts, sculptures and inscriptions. It is placed at the mouth of a ravine embraced by two rocky hills where rock cut caves and the red sandstone cliffs are found in abundance. On having to climb a flight of stairs there are two pairs of ancient rock-cut caves, each filled with carved pillars and bracket figures. The trip will offer you a chance to visit Pattadakal and Badami cave temples, here 18 armed Nataraja, striking 81 dance poses is considered to be the example of the Dravidian and Nagara architecture in ancient India. The train arrives at Badami at 0830 hrs. 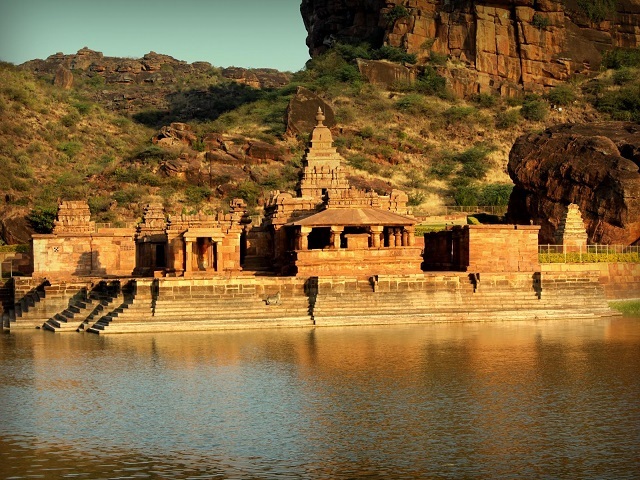 Leave for sightseeing to Pattadakal and Badami cave temples, they are world heritage sites. Return at around 1320 hrs to The Golden Chariot. Lunch will be served on board followed by departure for Goa, On board you can facilitate yourself with the service offered like Spa,gym, movies etc. Dinner will be served at 2000 hrs, reach Goa at midnight. The southern part of India is a popular tourist destination in the country. In a bid to explore this mesmerizing destination, The Golden Chariot Train, one of the most luxurious travel modes in the world, takes you on an unforgettable voyage through beaches, plains and scenic landscapes of India. This luxury train in India offers two tastefully designed itineraries- Pride of the South and Splendor of the South- takes guests on a journey, spanning over 8 days and 7 nights, across several historically and culturally significant destinations across South India. When it comes to Pride of the South journey, it takes you on a whirlwind tour across famous destinations such as Bangalore, Kabini, Mysore, Belur, Hospet, Halebid and Hampi among others. On the 5th day of the ‘Pride of the South’ journey, you will head straight to Hospet from Hassan. 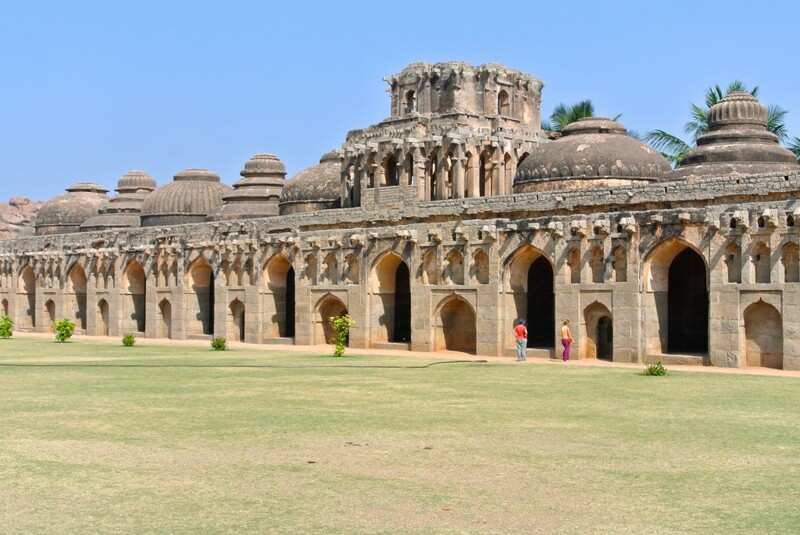 Hospet serves as a gateway to the medieval wonders of Hampi. The land of architectural delight, Hampi is home to 500 + monuments of the 15th century Vijayanagar Empire. Some of the popular monuments in Hampi include Virupaksha Temple, the Elephant’s stables, the Hazara Rama Temple and the Vittala Temple. The train will arrive in Hospet at 06:00 hrs. Later, set out to explore the popular tourist attractions in Hampi. Return back to the train for lunch. Explore the remaining tourist attractions in Hampi such as the Hazara Rama Temple and Vittala Temple. By 20:00, return back to the train for dinner and overnight stay. We advise you to go for advance for the Golden Chariot Train to avoid any last minute disappointments. Famous as South India’s first and only luxury train, the Golden Chariot offers 2 tastefully designed journeys that covers major destinations in South India with a never before travel experience. The train is an ideal option for those who wish to experience luxury and élan of erstwhile south Indian rulers. The two itineraries- Pride of the South and Splendor of the South- takes guests on a journey, over 8 days and 7 nights, across several historically and culturally significant destinations across South India. The main highlights of Pride of the South journey, spanning over 8 days and 7 nights, will take you across popular destinations such as Bangalore, Kabini-the tiger abode, Mysore-the stronghold of Tipu Sultan and UNESCO World Heritage Sites of Hampi among others. On the 4th day of Pride of the South journey, you will head straight to Mysore from Hassan, a popular Indian destination noted for its religious significance. Catering especially to the history and culture lovers, Hassan in Karnataka is a land of amazing temples that were built during the 11th and 13th centuries. Some well-known religious centers in Karnataka include Chennakesava Temple, Hoysaleswara Temple and Shravanabelagola-the famous Jain pilgrimage. Moreover, the city also takes pride in being the home to ISRO (Indian Space Research Organization). Besides, Hassan is quite famous for Mahamastakabhisheka, a Jain festival celebrated after every 12 years. The festival is dedicated to Lord Gomateshwara, wherein his statue is worshipped with coconut oil, yoghurt, ghee, bananas, milk, poppy seeds, jaggery and dates. 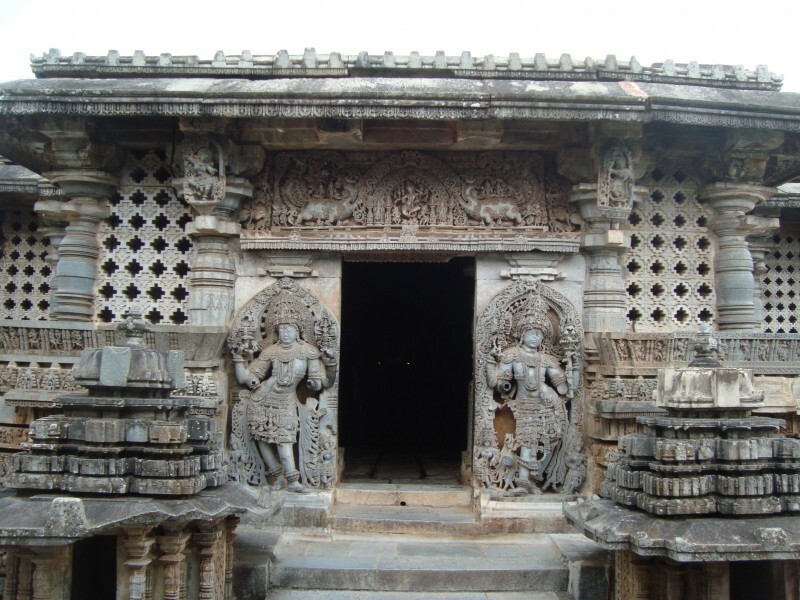 For tourists who are interested in temple architecture, Halebid and Belur are the great destinations to admire the beauty of Hoyasala architecture. The temples were carved in the 12th century. Here are the brief details of Day 4 itinerary for your kind perusal. The day will start with a visit to Shravanabelagola, the famous Jain pilgrimage center. Later, return back to the train for lunch. Thereafter, leave for Halebid and Belur, which are famous for the 12th century temple architecture. Return back to the train by evening and prepare to leave for the next destination. We advice our guests to go for advance bookings on Golden Chariot train to avoid any last minute disappointment. Onboard the Golden Chariot Pride Of The South luxury train, guests not only enjoy the royal treatment, but also visit some of the major destinations of South India with a never before travel experience. The major highlights of the luxurious 7-night and 8-day journey are visit to the tigers abode Kabini, imperial Mysore, architectural splendor of Belur, beaches of Goa, a lot more. Thus, this train travel will help in meeting various travel themes such as heritage, cultural and wildlife interactions, all contributing to everlasting memories. On the 3rd day of the luxury train travel, you will head towards Mysore from Bandipur. It takes about 1 hour 45 minutes drive to reach. En route halt for lunch. As you drive through the way, highlights such as friendly locals, paddy fields, natural setting, and pleasant climate will engross your senses. Mysore, located at a distance of 140 km from Bangalore and at an altitude of 770 m above the sea level, retains a quaint charm. The city is popularly known as ‘City of Palaces’ and the architectural splendor does not fail to enchant the visitors. The city also celebrates the festival of Dasara with great show and grace. Moreover, the city is also dotted with pilgrimage centers, exquisite temples, and scenic spots. Half day sightseeing tour is the major highlight of the day. 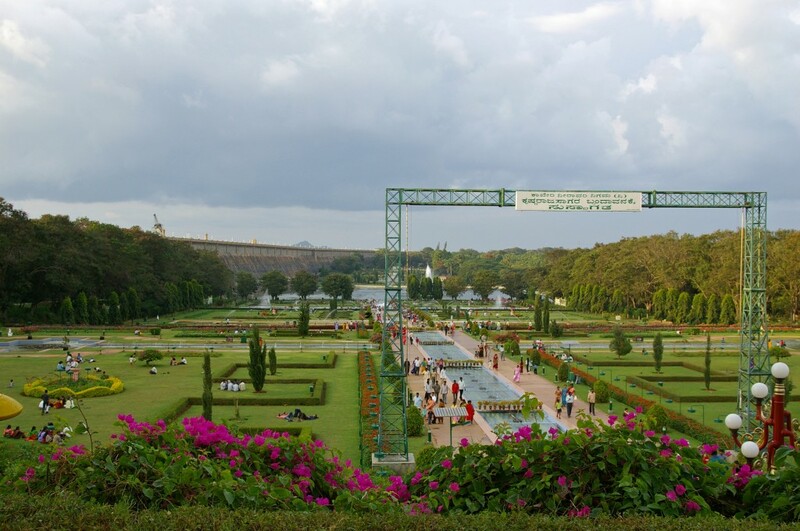 The Brindavan Gardens and the attractions of Srirangapatna are the areas to be covered in the sightseeing tour of Mysore. 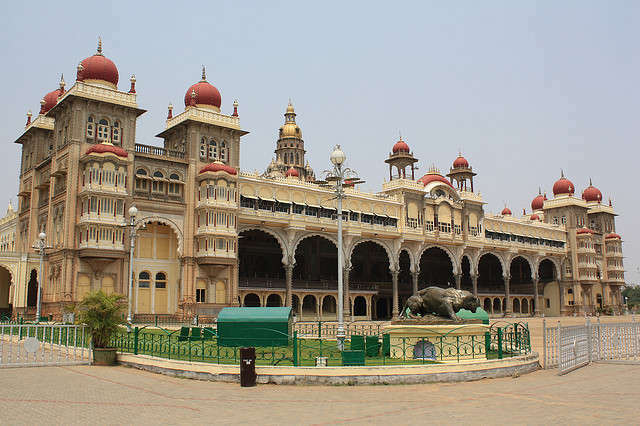 Thereafter, the tour is to be concluded with a visit to the Lalitha Mahal Palace. Here, the guests would also be provided royal dinner complemented with a cultural performance. Return to the train by 2200 hours as overnight stay is to be onboard. Thereafter, the train chugs to Hassan, the next destination. We advice our guests to go for advance bookings on Golden Chariot train so that you won’t face any last minute disheartenment.